One of the hottest Summer 2015 fashion trends for handbags is jelly. It's actually a hot trend for any accessory, including shoes. 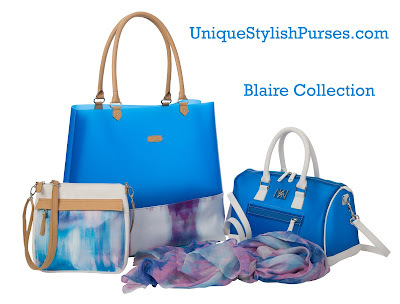 The Blair Beach Tote & Doctor Bag is translucent jelly in rich Mediterranean blue. Great to take to the beach, pool, day spa or just because they are so beautiful. All are stand alone bags, no need for a base bag.